CYBER CITY ONLINE is Pakistan's premier Internet, Web Design, Web Hosting, e-Commerce, Multimedia Development and Internet Marketing Solution Provider. We WELCOME you to visit our sites, learn about our company, quality services and get to know our clients. Web solutions From the pool of Foreign Qualified expertise provided in-house, CYBER CITY ONLINE is able to meet and surpass any customer requirements to produce visually stunning and user friendly web sites. To Maintain World Wide Web's leadership In Innovation, Project Development Quality, Service Standards, Profitability and Community Services. The spirit of the Internet is dynamic always moving and self propelled. The future of static web pages describing a certain company of a certain field of activity is already decided. Those sites are not only of almost no interest but they are condemned to a quick death, counting just a few hits once in a while by chance. CCOL is involved in creating new highly interactive and dynamic sites. Quality e-Products and e-Commerce Service with a Purpose. 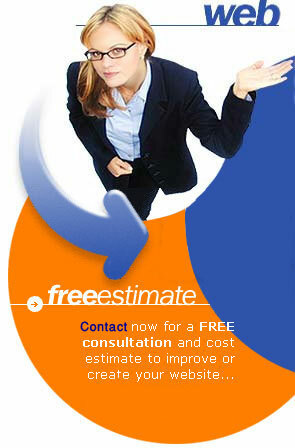 Dedicated Expert and Professional Personnel. As the Internet is becoming an accepted medium for ordering goods on-line, CCOL is able to help you realize your strategy up a "shorefront" on the Internet. CCOL offers companies like yours a wealth of solutions and services-all focused on maximizing your E-Commerce potential. As an outsourced commerce solution provider, we have a unique service offering to handle every component of your E-Commerce operations, ranging from e-business services, to digital services, to Web-based marketing. Our goal is to provide everything you need to design, manage and grow your E-Commerce and we have been successful in doing so. In fact, our solutions have proven valuable to many local & foreign companies. Provide you the tools you need to grow your online business. We offer the entire spectrum of sophisticated marketing programs so you can maximize your commerce resources, including E-Campaign Management, targeted e-mail marketing, affiliate marketing, cross sell/up sell features, site merchandising and personalization. 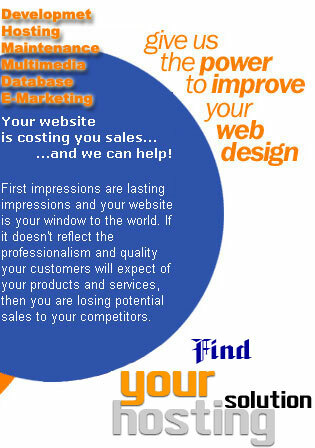 E-Marketing Services will help you grow your online business. End to End. Front to back. Strategic planning to program execution, tracking and evaluation. Outsourcing with CCOL can save you up to $1-million in e-direct marketing staff, state of the art campaign management, email list servers, merchandising programs all the software and development to get accurate, integrated campaign data. An experienced team will work with you to create an integrated online marketing plan and stay with you as the programs launch. We’ve marketed and merchandised thousands of sites - learning each step of the way. Our portfolio of marketing tools offers you countless ways to build your sales online - from E-Campaign Management, Email promotions to Affiliate Marketing - we’ve got it all - ready for you to use. Database Integration: CCOL provides many options for integrating database content to your web site. Databases simplify the management of your site and promote greater cohesion between the elements of information displayed. Users also benefit the content of your site can be searched efficiently and displayed dynamically. On The Fly Web Site Translator From English into other International Languages such as French, Spanish, German, Italian, Portuguese, Japanese, Korean, Chinese Simple, Chinese Traditional, Greek, Russian and Dutch. Are you serious about growing your business online? Copyright© 1998-2005, CCOL, All Rights Reserved.